For a north Indian, south India is very less fascinating than the rest of the country. Very few will admit it but it's true. The regionalism is always there. And yes, it works both ways. 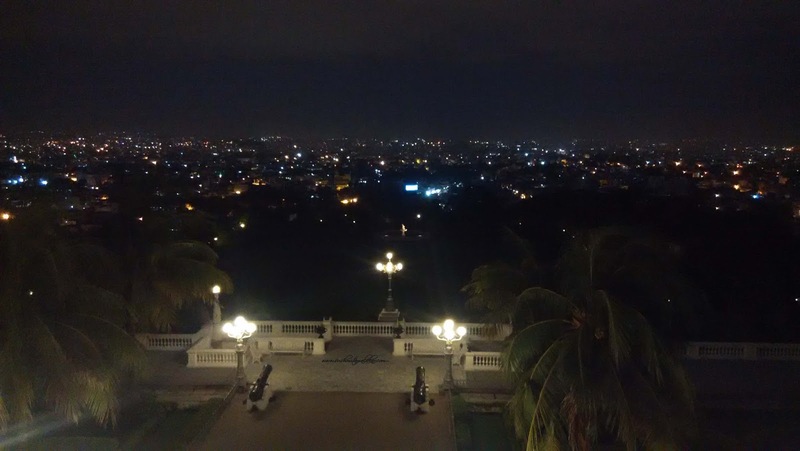 Keeping that aside, this post is about Hyderabad - the city I have visited probably thrice and it has never disappointed me. 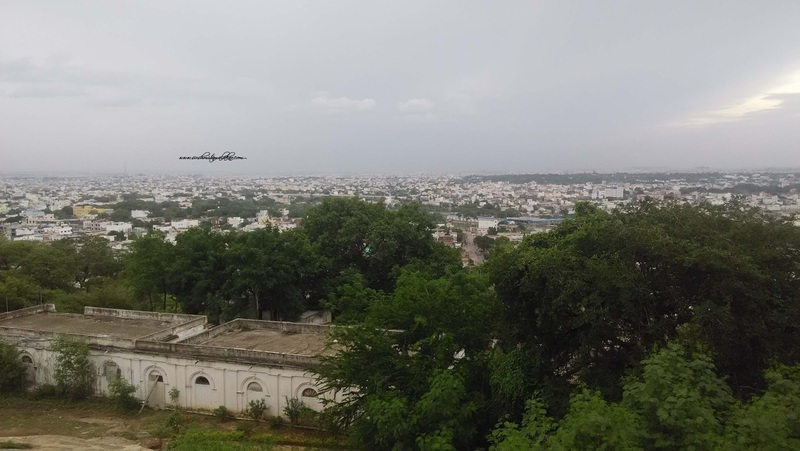 Hyderabad is the kind of city where you would want to buy a house and a car and probably settle down. I have said this so many times in my past that it seems like almost a reality to me now! I say so because it has the right amount of city in it. You understand what I mean? It gives you the opportunity to work because it has got some super amazing offices there yet it doesn't seem like the over-crowded and too fast a city like Gurgaon or Mumbai or Bangalore for that matter. I don't know if it will turn into something like that soon but it doesn't look like it's going to happen . So yes, I traveled to this city and lived there for sometime for both personal and professional reasons. And I explored it in installments too. Some of the pictures I am sharing might be old but not redundant. Another reason to love this city is that it has got some heritage, just like Delhi. Weather is on the hotter side. The winter months are form November to February and they are pleasant - not very cold. It rains heavily during the monsoon which lasts from June to September. Language is a problem at times - specially cabs and auto-rickshaws. Now, about the city with so many "places of interests". 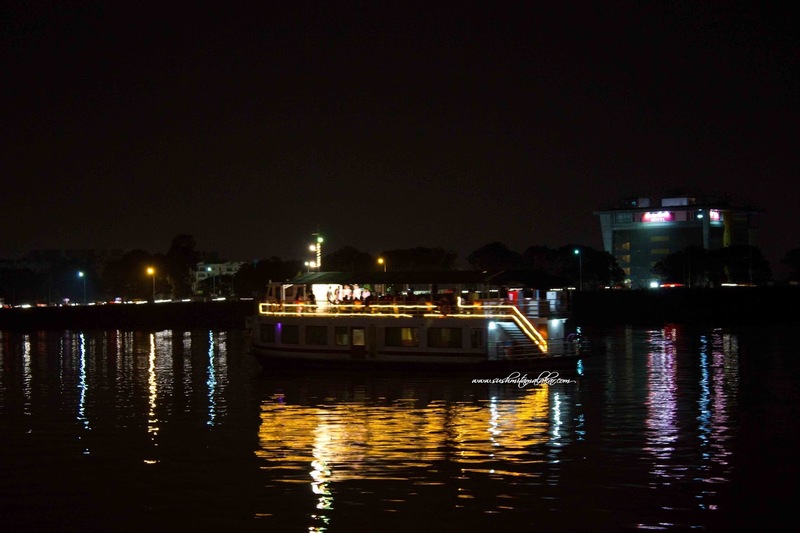 The first place I visited in Hyderabad was the Hussain Sagar Lake. Hussain Sagar lake is massive and exactly in the middle of this lake is this huge statue of Gautam Budhha. Remember how this city has a heritage and history? This lake basically separates Hyderabad from Secunderabad and was built by Ibrahim Qutub Shah in the 16th century. The aerial view of the lake will show you that it's a heart shaped lake! You have to take a boat till the Budhha statue. During the evening, there is beautiful and colorful lighting done which reflects on the otherwise pristine white statue. It's a good sight to view. 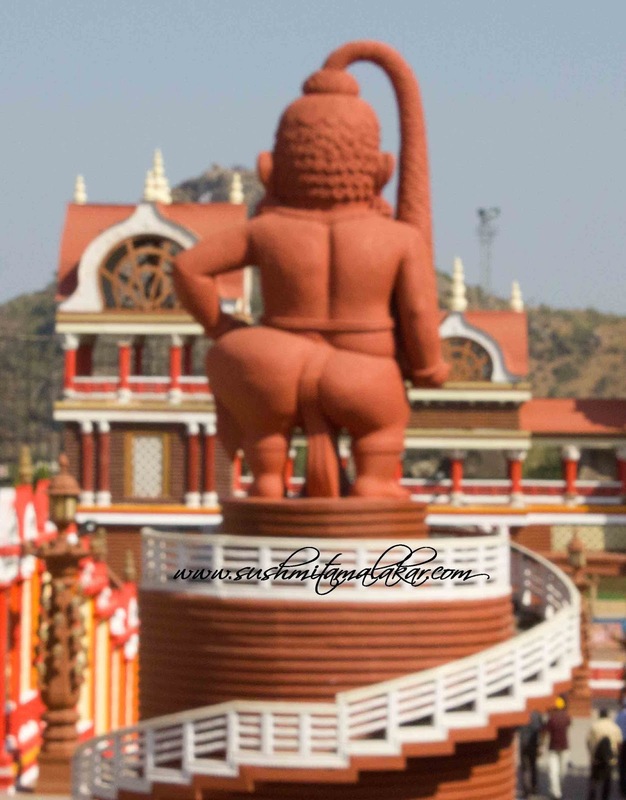 To one side of the lake is Birla Mandir, which is greatly constructed. And to the other side there is this park called the Lumbini Park which is a recreational park and you can just go and sit there or probably take a walk. Basically, this whole area is pretty peaceful but yes it gets crowded on a weekend. 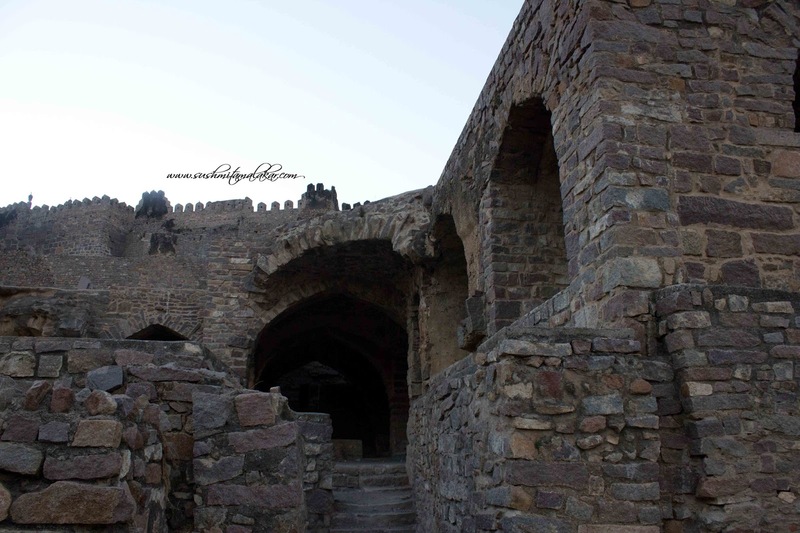 Then one of the most fascinating place in Hyderabad is the Golconda fort. The fort is huge and of course, beautiful. This area is the producer of some very unique and famous diamonds of the world, including the Kohinoor. I completed this fort tour in two visits, three years apart. The fort is doable in one visit only but I was very fat in my first visit and decided not to climb it. But during that time, I attended the light and sound show and it is amazing. For history enthusiasts, it is something that will clearly make you love the fort even more. The second time, I scaled the fort - which is by the way is not very high. I was still fat but I had to do it. It was a li'l difficult for me but the view from above is just amazing and worth. You can see the whole Hyderabad city from the top. There is a Kali temple as well on the top. Also, there are various rooms of the fort with their own li'l fascinating stories. Then there is Chowmahalla Palace which is the supposed residence of the Nizam of Hyderabad, the state. Of course, it is more of a museum now. It has a beautiful garden, different regions with different palaces and a huge clock tower which is functional since the last 300 years now. 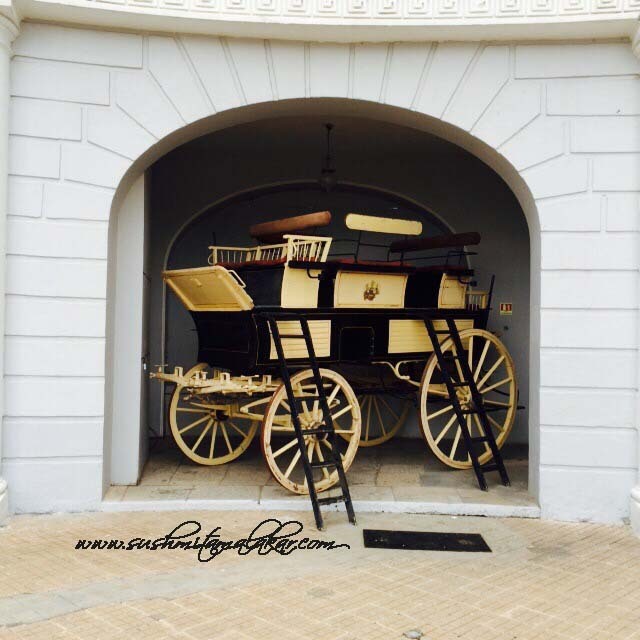 You can find all the belongings of the Nizams - their furniture, crockery, arms and ammunition, cars and bikes - everything preserved here. Of course, photography is prohibited in many places, so sharing the ones which I could take. 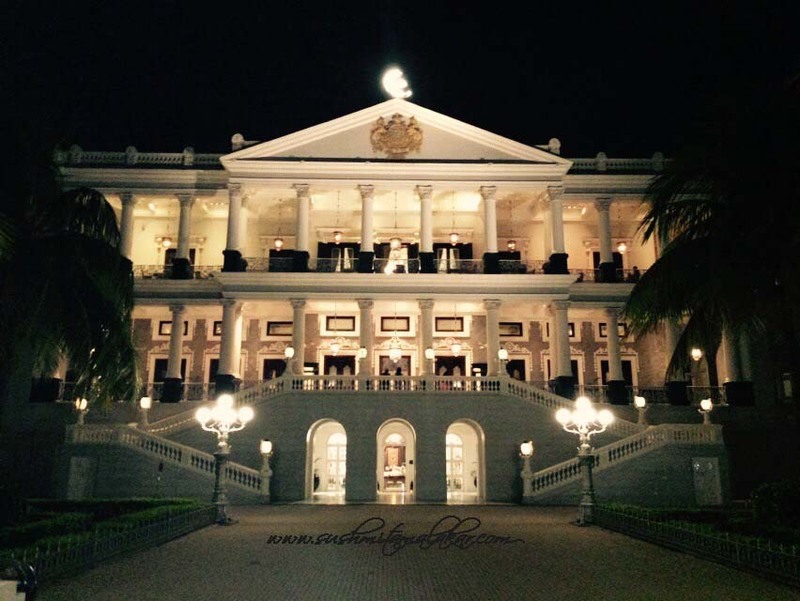 I am sure you all must have heard about the Falaknuma Palace, which is now taken over by Taj and is a super expensive resort to stay in . 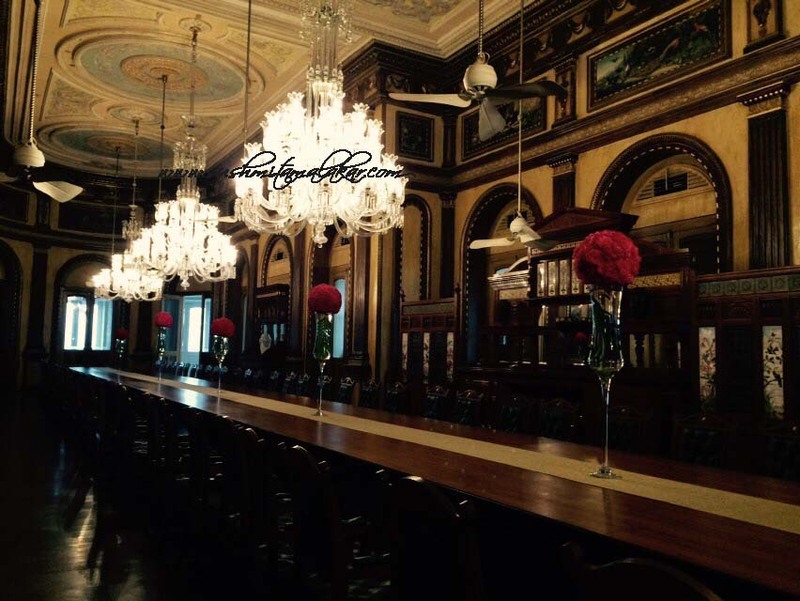 It was also owned by The Nizam of Hyderabad and is located near the Chowmahalla Palace. This place is one beauty! The whole old Hyderabad is visible form the top of this palace and you can actually feel that how royal and magnificent the place is. Yes, that can be partially attributed to the maintenance that is being done by the Taj group. There is a tour of the palace that takes place everyday and all the royal sittings and other pieces of decorations are kept intact. However, every room is converted into something of commercial use - so whenever you sit there, you get a luxurious yet royal feeling. There is a huge dining hall with the largest dining table that I have ever seen. It has a sitting capacity of 101 people and there is beautiful and intrinsic designs on the walls and the roofs and I don't know why, it was so trippy that the Hotel California song started to play in my head. In the same vicinity stands the famous Char Minar. 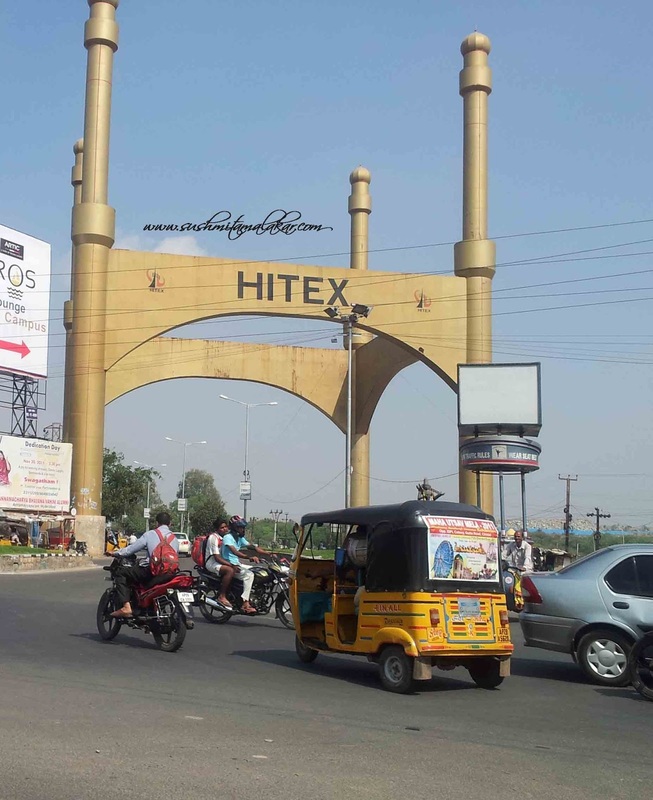 So, this is basically the icon of Hyderabad. It is a huge structure with four minarets. It's undoubtedly beautiful but the area around it is so crowded that you would never want to go there again. However, I have been to this place twice and I have no clue why I did that to myself. 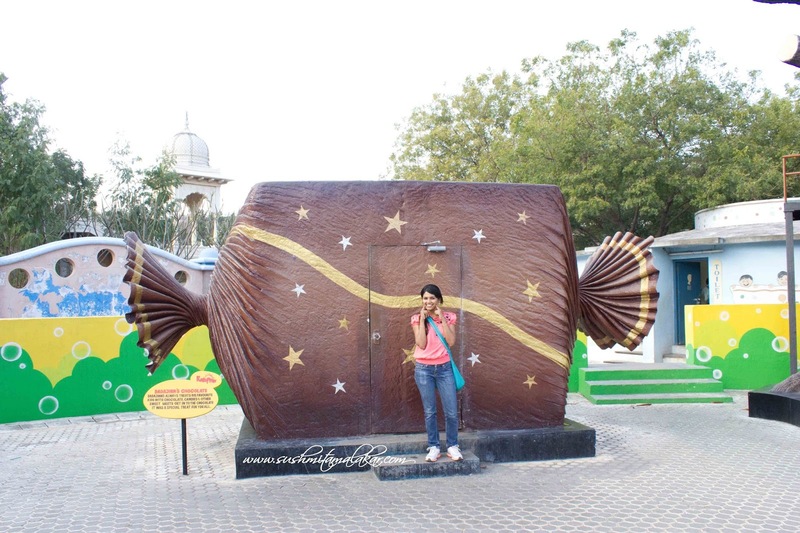 And you will probably witness one of the most fascinating things here - loose chocolate sold by kilo! 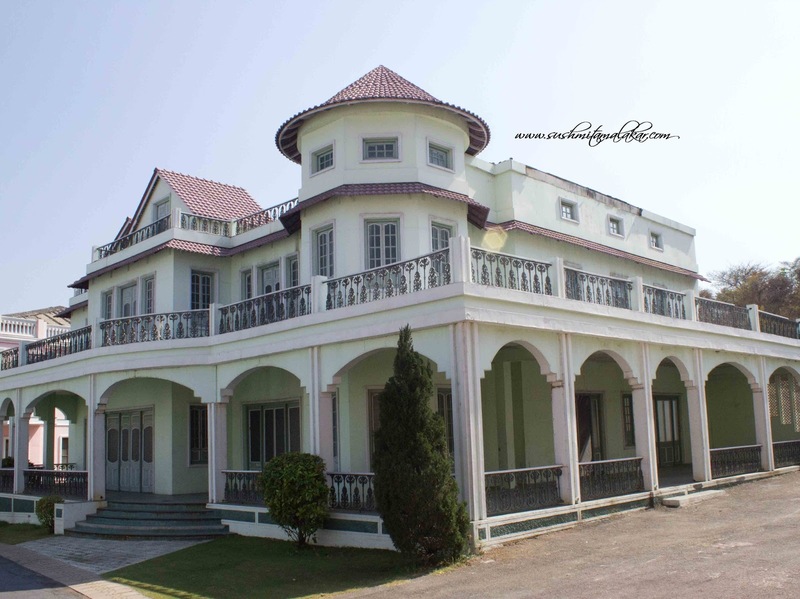 One of the important place of this area which I did not go to is the Salar Jung Museum. But then again, too much of history! But yes, it is worth a visit because of the collection that it has and which comes form all parts of the world. 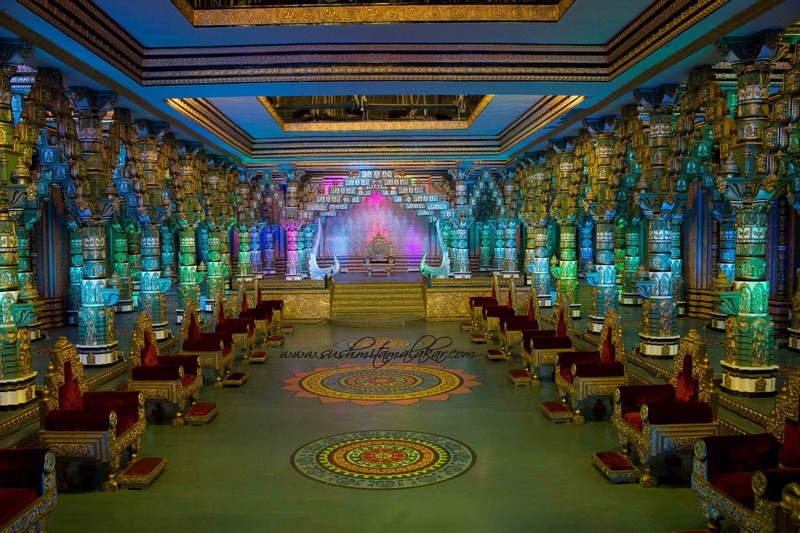 Moving on, one of the must visits of Hyderabad is the Ramoji Filmcity. Okay. not really a must visit, but if you have time and you are in Hyderabad, do visit this place. It is such a wonderful reminiscence of all the movies that you might have seen in your childhood. Also, it is the largest film studio in the world - so yes, that is one more reason to go. The real sets which we have all seen while growing up! There is a bus with a guide who takes you around the filmcity and its a spectacular trip - all the sets of movies and a true bollywood buff like me can surely enjoy her movie moments. This place is never ending with so many different areas. There was this complete part of the property with Hollywood props and sets. As you explore more into this place, you will see many fascinating things. There was this whole set up from the 18th century and there were cowboy fights taking place as well - I mean its a daily show that they do! Also, some very good sculptures telling me that my whole life has been a lie! And trust me, this one looks as scary from the front as it looks cute from the rear. 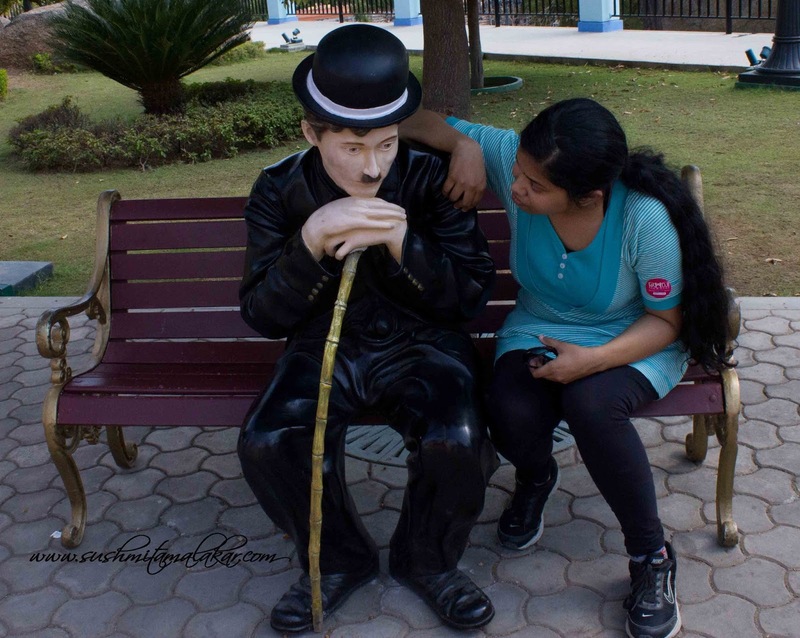 Scary places, adventure park, kids park - you name it and Ramoji Studios has it! And the day long tour was tiring but satisfying. I would recommend you to go there on a nice windy day and if you have a lot of time to spend in Hyderabad. And finally, some craftwork can be seen and purchased from the place called Shilparamam. Hyderabad is one city where I can go again and again because I know there is so much left to do there! Hyderabad is one of those cities where I can think of living apart from Delhi. And I got this feeling when I first visited Hyderabad in 2014. And the city has managed to stay the same in these three years. This city is special because it was the first time that I stayed away from my family and it was this place. I celebrated my birthday away from home for the very first time, with so many new people! And yes, I got some super amazing backgrounds to get some filmy pictures clicked! Very well written post n equally supported by beautiful pics ! Thanks Mahesh! I feel this one actually became a photo blog!